WITH determination in his eyes, Mild­ura firefighter Nathan Shanahan began his 10-day trek to Adelaide yesterday morning, farewelled by friends, family and colleagues. Hard road: One step at a time, Nathan Shanahan knows the trek to Adelaide will be tough. His wife Kosha helped him shoulder his backpack before farewelling children Ari and Lila. 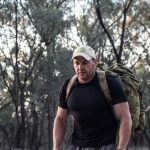 The former Australian solider set out on the gruelling 400km walk from Henderson Park at 7am as part of a personal healing process and to reduce the stigma associated with mental illness. Mr Shanahan took his first steps through a guard of honour of his nearest and dearest, including his mother and father, wife Kosha, children Lila, 6, and Ari, 2, and colleagues to begin the journey to Adelaide. “I’m excited, but intimidated,” he said. 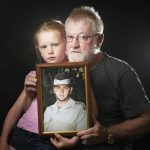 Throughout his campaign Walking Off The War Within, Mr Shanahan has been open about his personal struggles after serving in the army for six years and experiences with the Country Fire Authority. 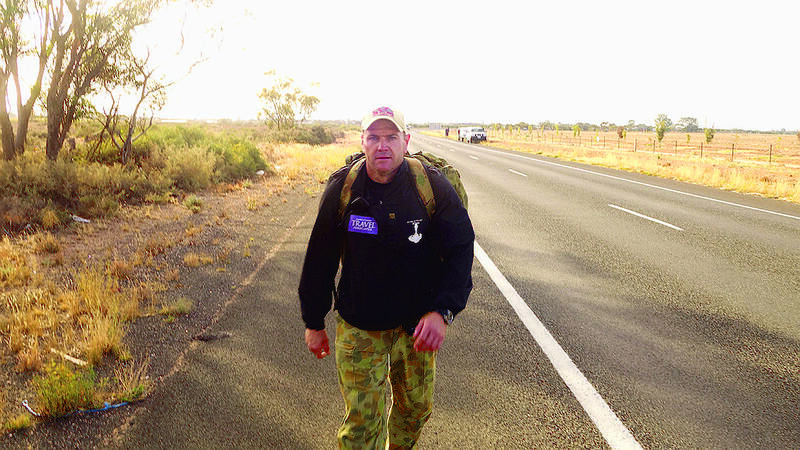 A self-described “man of few words”, Mr Shanahan said he was ready for the target of 40km a day, but emphasised the generosity of the public who had raised $17,000 to date.